I have always been led to believe that black holes are tremendous “machines” swallowing everything. Because of its gravity because its nucleus is super not, hyper mass, the fabric of space-time is fully curved offering such a large gravity that nothing can escape, not even light (which is what travels faster). And, in black holes there is a uniqueness that makes gravity tend to infinity and, as I have said many times before, when there is a singularity the laws of physics do “pum”, which plays refine them. 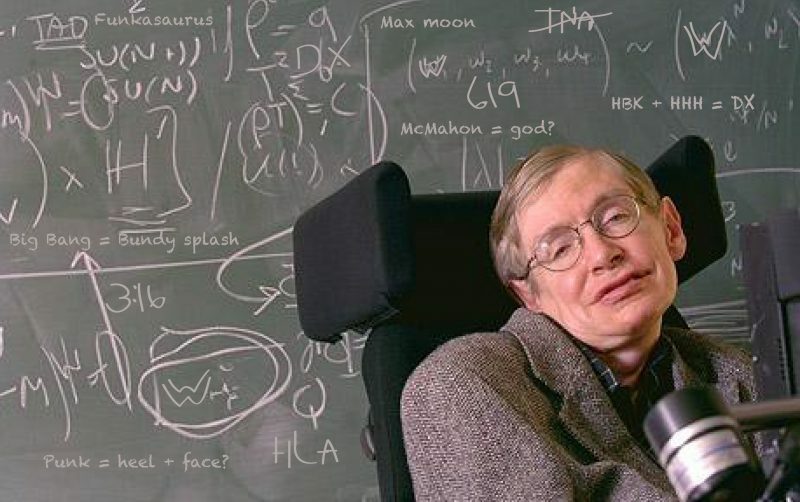 Well, in the mid-70s, Hawking, thanks to the discovery of rotating black holes and, thanks to quantum mechanics and string theory (which allows us to skip those singularities) postulated that black holes should emit radiation which, like every energy source makes the mass decreases. Until here all right. Let us explain a little more like (for now) know a black hole where you have to separate two points or two of the main areas. One of the areas is the core, where all the mass is concentrated absorbing, something like the core of the Earth and the other is the event horizon, which is the area where the laws of physics do “pum” (explote in english). The core may have different sizes as it has “eaten” the black hole, but the event horizon, whatever the size of the core, always at the same distance from the (each black hole different, but always a constant). It has always been thought that black holes, not emit anything and therefore lose nothing, they were immortal. There and not know about what goes in, they have left many science fiction movies since where mathematics does not give the imagination. The problem they have is that the center of the hole, the core, as has so much mass in so little space is at a high temperature. And as we know, when something is at a high temperature it emits radiation. However, depending on the mass of the nucleus radiation that creates and emits the temperature can reach escape the gravity it has. This radiation is escaping Hawking radiation. The radiation escapes from the core, due to the severity of this (which escapes) makes it turn very quickly reaching speeds in which (as we know) energy mass becomes, all this happens at the event horizon to be the appropriate distance for this. Once it passes the event horizon, this energy/mass/matter/antimatter escapes the black hole, losing this weight and, incidentally, making the distance from the event horizon (to have less mass black hole) is approach the core of this. And what happens when the event horizon “collides” with the core of the black hole?. For disintegrating or rather, the black hole evaporates. Ceases to exist because it has no mass to stay. The only problem that makes Hawking radiation so special and not called thermal radiation (because, as we have said is due to the core temperature) is a very interesting thing is that all radiation contains information about the issuer. That is, thermal radiation, when we measure contains information of card issuer (temperature, go), electromagnetic radiation, the amount of electric and magnetic body that produces field but Hawking radiation contains no information who generates, the core of the black hole. Which does not allow us to know what happens inside the black hole. All this is because (and I will not go into it) that radiation has (as all) smaller than the amount of Planck frequency, which gives a lot out there down the measure, calculate and try to get something out of it, although some attribute this lack of information to the Unruh effect. A theoretical effect happens the relative speeds of the observers are to blame for that one not detect anything special. This is still under study. So now you know a little more Hawking radiation that you can serve in your social gatherings.